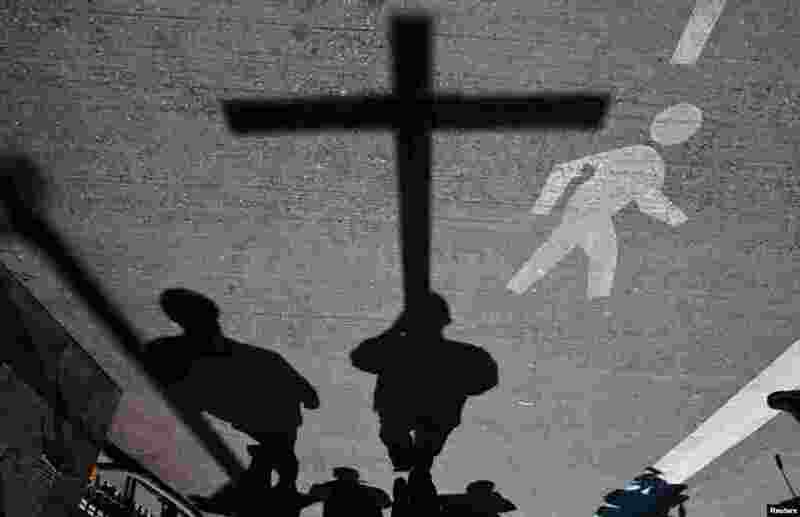 Christians around the world are observing Good Friday with processions and prayers to mark the crucifixion of Jesus. 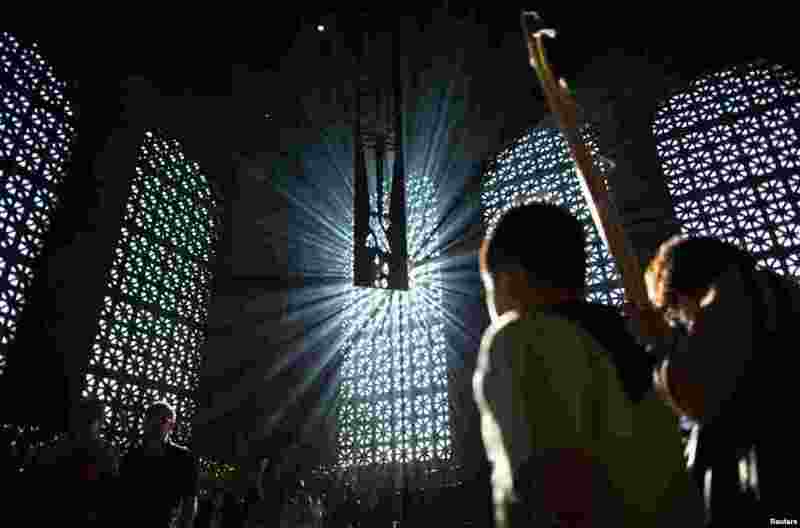 1 Catholic worshippers celebrate Good Friday inside the Our Lady of Aparecida Basilica in Aparecida do Norte, Sao Paulo, March 29, 2013. 2 People attend the 18th annual 'Way of the Cross Over the Brooklyn Bridge Ceremony' in New York, March 29, 2013. 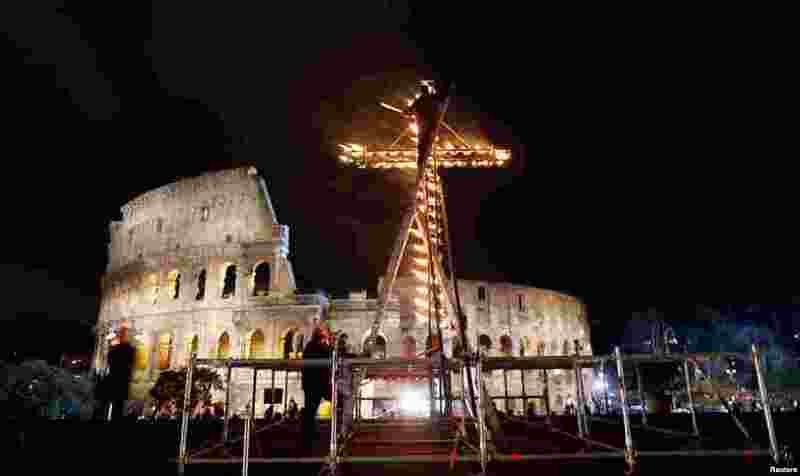 3 A worker lights a cross before Pope Francis leads a Via Crucis (Way of the Cross) procession during Good Friday celebrations in front of the Colosseum in Rome, March 29, 2013. 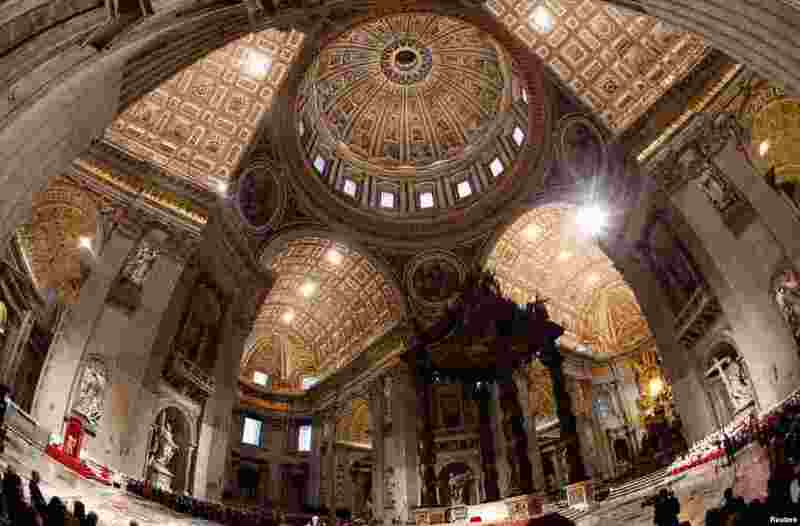 4 Pope Francis attends the Celebration of the Lord's Passion in Saint Peter's Basilica at the Vatican, March 29, 2013.